The chief prosecutor in a 29-defendant corruption and organized crime case told a federal judge in San Francisco today that a majority of the defendants could face new racketeering charges in a revised indictment expected in July. “The majority of the defendants are looking at potential RICO charges,” Assistant U.S. Attorney William Frentzen told U.S. District Judge Charles Breyer at a pretrial hearing attended by 26 of the defendants and their lawyers. RICO is the federal Racketeer Influenced and Corrupt Organizations Act, which provides for both criminal charges and civil lawsuits for racketeering, defined as conducting a continuing criminal enterprise. Frentzen did not say which defendants might be charged with racketeering, which could carry a sentence of up to 20 years upon conviction as well as forfeiture of alleged ill-gotten gains. 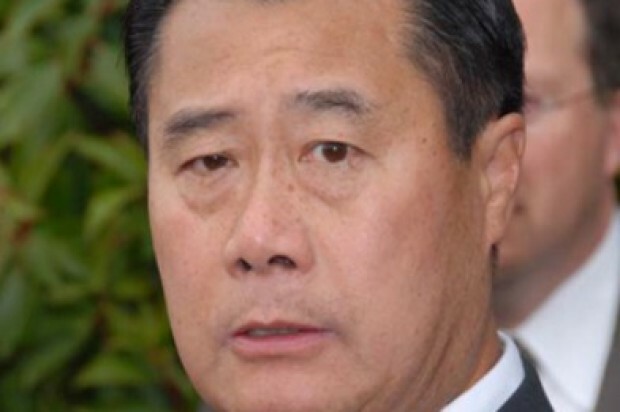 Defendants named in the existing April 3 grand jury indictment include suspended state Sen. Leland Yee; former San Francisco school board president Keith Jackson; Raymond “Shrimp Boy” Chow, leader of the Chinatown-based Chee Kung Tong organization; and several other members of that group. The defendants are accused of an array of charges, some of which appear to be unrelated. 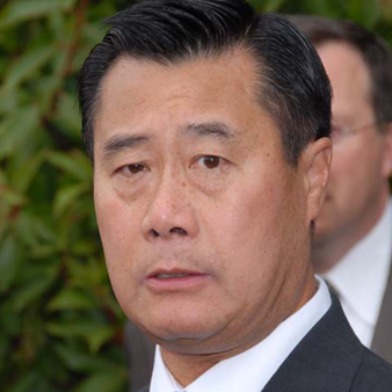 Yee, D-San Francisco/San Mateo, and Jackson, a political consultant, are accused of funneling campaign contributions to Yee in exchange for political services to purported donors, who were actually undercover FBI agents. Yee, Jackson and Daly City dentist Wilson Lim are also charged with conspiring in a never-completed international arms deal for an undercover agent who was posing as a Mafia member. In another alleged plot, Jackson, his son, Brandon Jackson and two other men are charged with planning a $25,000 murder-for-hire, which was also never carried out, for the purported Mafioso. Jackson, his son and sports agent Marlon Sullivan are also accused of selling guns to the agent and conspiring to sell cocaine. Chow, who was previously convicted of gun trafficking and racketeering, is accused of money laundering and conspiring to traffic in stolen liquor and cigarettes. Various other defendants are accused of drug conspiracy, money laundering, conspiracy to traffic in stolen cigarettes and conspiracy to receive stolen property. The purportedly stolen goods and money to be laundered were provided by the undercover agent posing as a Mafia member, who began infiltrating the Chee Kung Tong in 2010, according to an FBI affidavit filed in the case. Prosecutors have alleged that the Chee Kung Tong, a civic association, had a criminal faction and that Chow was in charge of it. Chow’s lawyers say the group is not a criminal organization and that he turned over a new leaf after being released from prison in 2003. Frentzen had previously told Breyer a revised indictment might include racketeering charges and possibly additional defendants, but had not indicated how many defendants might be accused of racketeering. He said the U.S. Justice Department’s Organized Crime and Gang Section would have to approve the filing of any racketeering charges. Also at today’s hearing, Breyer said he will issue a protective order that will enable prosecutors to release evidence – including wiretaps and recordings—to defense attorneys with requirements to keep some of the information confidential. Outside of court, James Brosnahan, a lawyer for Keith Jackson, said such an order would normally allow both defense lawyers and the defendants to know the identities of the undercover agents, while being required to keep the information secret. Breyer said he was also concerned about keeping confidential the names of “people who appear in recordings” but are not charged with any crimes. “It’s important that people who are innocently involved are not subjected to undue speculation,” he said. The judge directed prosecution and defense attorneys to confer early next week and to submit a draft of the order to him. The next hearing before Breyer is scheduled for July 24 for a status conference and an arraignment on a revised indictment, if one is issued. By that time, the judge said, defense attorneys should have received and begun reviewing most of the prosecution evidence. “The purpose of this process is to get information out,” said Breyer, who said he didn’t want the not-yet-scheduled trial delayed by evidence disputes. “I want this all to be done in 90 days,” Breyer said.